Apple's new low-end 8-gigabyte iPhone 5c debuted on Tuesday in major markets across the globe, including the U.K., China, France, Germany and Australia, though it did not replace the iPhone 4s, which remains the company's cheapest smartphone available [updated]. Most notably, the new 8-gigabyte iPhone 5c is not available in the U.S., Apple's largest market. 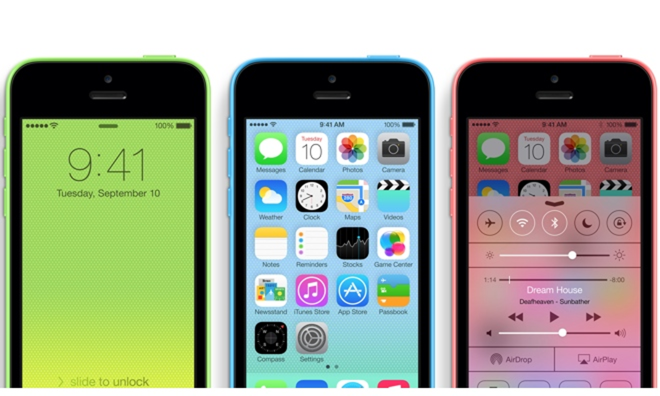 Instead, the iPhone 5c remains limited to capacities of 16- and 32-gigabytes in America. But internationally, some markets now have the option of a slightly cheaper iPhone 5c, which aside from capacity retains the specifications of the preexisting models, including a 4-inch Retina display and A6 processor. In the U.K., the new 8-gigabyte iPhone 5c is priced at £429, which is £40 cheaper than the 16-gigabyte version. The 8-gigabyte iPhone 4s, meanwhile, is available for £349, or £80 less expensive than the comparable iPhone 5c. In China, one of Apple's fastest growing markets, the 8-gigabyte iPhone 5c sells for RMB 4,088, compared to RMB 4,488 for the 16-gigabyte version. The iPhone 4s, a device first released in 2011, remains available for RMB 3,288. Expectations that Apple might discontinue the iPhone 4s for a new 8GB iPhone 5c were premature. The limited launch of the 8-gigabyte iPhone 5c would seem to suggest that Apple has selectively picked markets where it believes the new price point could help find some success. Update: In a statement to Re/code, Apple said the update was intended to support new LTE networks, as the iPhone 4s does not have an LTE high-speed radio. "The mid-tier iPhone segment is growing year-over-year and the 8GB model provides a more affordable option for markets where LTE is becoming more established," the company said. Apple Chief Executive Tim Cook himself admitted in January that the iPhone 5c hasn't found the level of sales the company hoped it would. The iPhone 5c represents the first time Apple has introduced a new model for its mid-range handset, coming in a variety of colors with plastic backs. There have even been rumors that Apple may scrap the iPhone 5c later this year, when the company is expected to introduce a sixth-generation handset. Sales of the iPhone 5c have been categorized as "weak," though Cook said last month that sales have exceeded those of Apple's previous mid-range iPhones.